flynnarrel wrote: Viriella's story begins when a Gospodar woman is taken as with by an accomplished Ungol horseman. Dissappointed not to have a son, he raises his daughter to the ways of mounted archery and the soldier's life. The day that her mother found her spitting on a freshly swept floor the woman had had enough. She dressed Viriella as a young girl and took her to a Choosing they were having in the village where an Ice Witch was testing the girls for the Ancient Widow's Touch. Viriella's mother knew how rare it was but wanted to do something to counterbalance her father's crude influence. Viriella was taken away on the spot. Throughout her forced apprenticeship and then training as a Maiden of Ice, Viriella swore to herself that she'd not forget where she came from and that she would stay true to her Ungol heritage. She suffered for it from the other acolytes but she told herself that her people had suffered far worse and survived and grew in strength. And, indeed, every time she was jostled while learning a tricky and dangerous application of Ice Magic, where any mistake could turn an unwary Novice to solid ice, she learned *that* much more control and strength. It was at a rare Erengrad Caucus where Tzarina Katerin herself was in attendance, that the novices were invited to show what they could do amidst the diminishing rays of the Summer sun. There was much muttering when Viriella took the stage for every Sister had heard of the half-Ungol that threatened the purity of their Order. Even in the sun's full light, Viriella froze a nearby fountain solid, erected a substantial ice dome, and gave herself over to the Frostfiend's form... some of the hardest disciplines of the Lore of Ice. 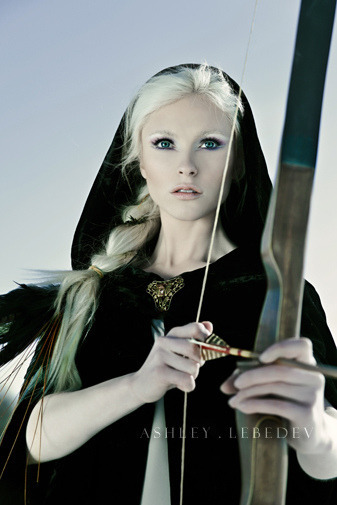 All on-lookers watched as, unbidden and without ceremony, her eyes turned glacial blue and her flesh grew pale. Everyone, including Katerin, could not help but be impressed. The Tzarina put out word and found out Viriella's history there was some curiosity when it came to light that her father's mother was Hag of some power. Viriella became unwitting recipient of Katerin's patronage and soon doors of education opened to her. She learned of magical arts, not just of Kislev but of the Empire as well and trained in it's language. Viriella Suricheck was recruited by the Tzarina herself to be her eyes in the Southern lands. Portents and signs have indicated an upheaval and danger of unspecified nature. The ripples of it are felt even up here. Viriella was chosen for her training with the Ungol Horse Archers and also for her excelling gift with the magic that streams from the very heart of Kislev. The fact that she was approaching Katerin herself in mystical strength was not lost on young Viriella and she suspects this is a way the shrewd Tzarina is ridding herself of a potential rival. Viriella is to travel the Southern Empire investigating strange occurrences and determining what she can of the source. Katerin will contact Viriella routinely in dreams to receive a report. Viriella also knows that, should she perish, her spirit is bound to make one final report before it moves on to the afterlife. The fact does not comfort her. Loyal to Kislev – Viriella is fiercely loyal to the land of her birth and its people. Insults to Kislev (maybe common in the Empire) will not go unchecked. Outsider – Her facial features and accent mark her as Kislevian. Likewise, she may not understand cultural norms and could be seen as ‘uncivilized’. Power Loss – Viriella must be able to gesture to access much of her magic. Marked by power – Her skin is pale and cold to the touch and her eyes are the deep blue associated to Ice Witches for any who recognize the significance. Cold-blooded – She is acclimatized to the land of snow and frost. Being in a warm environment will cause discomfort which she will bear stoically. Being in an extremely hot environment for a prolonged period of time could impose penalties. Cult of Ursun - if it ever comes up, she is a follower of Father Bear and all his pragmatic teachings. Distrust of Men with Magic - She's learned from an age even before the Lore of Ice that men playing with magic are likely to both corrupt the magic and go insane. She will watch male casters suspiciously for when their insanity takes them, and will not hesitate to use the Ritual of Pacification... or an arrow. 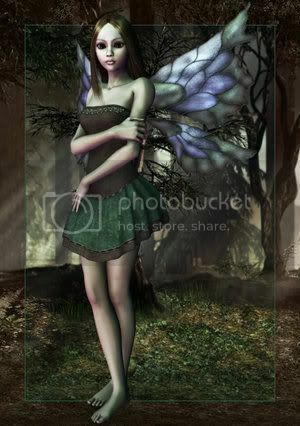 flynnarrel wrote: Tania Glimmerwing was one of the Fae Queen's own Handmaidens. When she was called upon by her queen to serve as ambassador to a monarch of the local Big Folke who claimed dominion just outside of their forest. Actually, he claimed the forest was IN his dominion but that was one of the first things to be sorted out. The Queen's instructions were quite clear - work within the interests of the Fae Folke and try to come to reasonable if not good terms with this ruling monarch. She knew what her queen wanted. There were better diplomats within the Queen's court, but if she were sending Tania it could only be to have the sizes of her forces misrepresented believably, to have the King's castle scouted accurately, and to have counter-intelligence prepared. Tania would not fail Her Majesty. Once she came to know the King, however, she became impressed by his valiance, forthrightness, and intelligence. She started to doubt her original mission. She told the Fae Queen of her doubts and Her Majesty dismissed her on the spot. It was only due to her years of good service that she wasn't killed on the spot. Exiled from the forest Kingdom of the Fae, and having no where else to go, she returned to the King. She told him everything and he offered to make a place for her at his court until such time as she another destination. Tania would be at his beck-and-call should he need her. It's a big world: Her size may limit how she can interact with the world. Exiled faerie: The tale has been spread that Tania is no longer under the Queen's protection. There are many creatures and wizards that would like to capture or kill a faerie free of reprisals. Debt to a king: She owes the Human Monarch much and will strive to repay him and/or his family however she can. Vulnerability: Cold-iron. Cold Iron is a bane to Fae and Fae Magics. Here's Wally as a PL 10 bad guy. I took his Redirecting-Deflect and weaponized it. Now, through portals he can grant a whole group of people perception range to their attacks directed at one person. flynnarrel wrote: Chaplain Benjamin Dixon was an Evangalist's Son raised in a Fire-and-Brimstone household in the Southern United States. He grew up hearing of Sin and his place in Hell should he stray from the Path of Righteousness. (There were a lot of capitol letters in his childhood). He knew he was destined for a life of prosletyzing, evangelizing, and succoring the injured. That was, until his father saw him with a dazed look talking about what their neighbors were doing. That is when Pastor Dixon knew his son was consorting with demons. He began to berate his son for being a satan-loving sinner when, the scared 11-year old cried his denials and the Heavens answered. 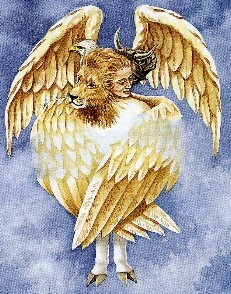 With a mighty crack there appeared a 6-winged Seraph, shinig bright as the sun and pointing spear at the Evangelist. The elder Dixon fell to his knees. And the Angel relented. Though it would be many years before he could reliably act as conduit for the Heavenly Hosts, his father raised Benjamin knowing of a great role he has to play in the world. His talents with the inspiring word and at medicine only reinforced this notion. When the Great War came about, he knew his calling was overseas so enlisted. He's been fighting the Central Alliance ever since. Codename: Benediction. Delusional - He really believes that these are Angels from Heaven doing God's Will. He believes his prayer and concentration are what enable them to take earthly form and enact God's Righteousness. When the Seraph especially is around he talks to it in Latin and hears its answers... in his head. Hatred - Demon Summoners. Those God-forsaking Heathens need to relearn the Healthy Fear that the One True God inspires. Chaplain Benny will be all too happy to Explain it to them. Christian holy man - he holds fast to the sacraments and vows he took and takes the scripture and bible seriously. "No dissassemble!" - Johnnyis against killing of living things. "Number Five, Is Alive... No, Really." - Johnny has had trouble getting people to believe he is a free-thinking entity. "Input!" - Johnny is insatiably curious about the world. "Sh!t? What Sh!t? No see Sh!t." - Naive. 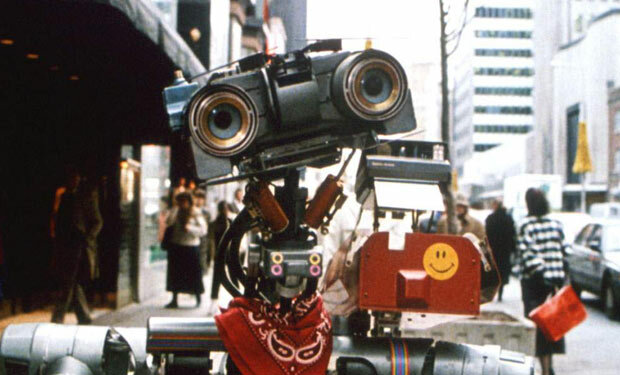 Johnny 5 will believe almost anything. Combat application: He doesn't get a chance to resist Daze(Deception) or many interaction-based effects. When the The Overseers made a bid for power one of the Heroes they took out first was GizWiz, a brilliant man with a stout heart and an unfortunate sense of naming things. They'd shot him with an ensnaring device with Technological nullifying capabilities to neutralize his battle suit and dispatched the somewhat fragile man underneath, burying him under the remains of a concrete building. They didn't know that he was experimenting with a newly developed batch of nanobots whose cumulative induction fields powered the flight and some defensive capabilities of his suit. When the device keeping his suit dormant finally ran out of power the nanobots, instilled with a rudimentary AI with directives toward protection and support of superheroic endeavors, flowed from the cracks in the battlesuit, out from under the rubble, to search of some way to fulfill her directives - they sought out a new wearer. The self-powered and self-replicating nanobots keep in a cluster where their cumulative movement fields can do the most good. Although capable of independent action, they are more 'comfortable' taking the appearance of whatever clothing their wearer expresses desire to be wearing, supporting the wearer in all their pursuits. She thought she had a likely candidate in a street-level superhero whose paramour had been killed by criminals. This brilliant Psychology student used his education to begin striking fear in the hearts of wrongdoers. NICKIE offered help in this regard. They were partners until a head wound caused a sustained coma. She is programmed to be self-sacrificing and tireless in their pursuit of justice. She is just looking for a new direction now. Suit - As a suit, NICKIE will always delay until the person s/he designates as 'wearing' it acts, moving with the person. It will try to support the actions of that person. i.e - She will ALWAYS Interpose and Aid Other on skill checks (Using her Jack of All Trades and Teamwork to try for a DC10 to give a +5 to Wearer's result). Clingy – NICKIE has what could classically be called abandonment issues. It wants to be around a humanoid person. Loyal - Like a puppy, the NICKIE suit forms attachments and sticks to them. Inhuman – NICKIE doesn't understand human emotions even though its AI is programmed to try to respond to them. GizWiz – NICKIE still regrets not doing more for GizWiz, she will feel responsible for his safehouses and inventions, especially if she sees him using them for immoral purposes. Living Dead Man - NICKIE still feels affinity for LDM and will check on/protect him and his legacy when possible. Age: A few months old, though the nanobot design is years old, always undergoing refinement. Hometown: The battle-suited techno genius, Gizwiz, had established bases of operation in Florida, Alabama, and Georgia. The wealthy inventor felt this was the best way to do some good in the world (and field test his inventions). He came to Sapphire City to help out where he could in order to redeem the name of supers. Family: Gizwiz had many inventions that could be considered brothers and sisters to NICKIE, but no familial bond exists between them. or simply a dark cloud as the nanobots swarm.